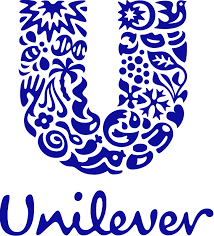 MANILA, May 4 — Unilever Philippines is ready to supply both the domestic and offshore markets with halal-certified products, the firm’s new chairman and chief executive officer Benjie Yap said. In a briefing Thursday, Yap said the company acquired halal certification for Unilever Cavite Foods Fact ory last February. Unilever invested Php 1.7 billion for the manufacturing plant in Cavite, which is eyed to be the halal hub for markets of Southeast Asia and Australia. “We’re looking at exporting to Malaysia, which requires some halal products, specifically. And we’re looking to expanding in some Muslim population, at least in Southeast Asia countries,” Yap said, noting that the company is already exporting non-halal products to Malaysia. The executive noted that this would be the first time for Unilever to export halal products from the Philippines. “We cater to a wide variety of consumers even in Muslim Mindanao. There are fellow Filipinos who are Muslim who will look for halal-certified products, so we want to make sure to provide products for them, and then same for other Muslim citizens in other countries as well,” Yap added. “So basically, we want to provide variety of choices for different individuals across the region,” he stressed. Yap noted that even the manufacturing facility is in Luzon, Unilever’s logistic network makes sure that its products have penetrated all regions in the country. “We want to make sure we cater to all Filipinos in Mindanao or other regions elsewhere. The sourcing side is less of you need to be there because we have a whole logistics network to make sure we ship wherever in the Philippines,” he said. 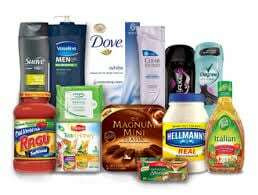 Unilever food and drink brands include Knorr, Lipton, Lady’s Choice, Best Foods, and Selecta. It also manufactures home care brands such as Surf, Domex, Cif, Sunlight, and PureIt, as well as personal care brands like Axe, Closeup, Dove, Master, Pepsodent, Pond’s, Rexona, TRESemme, Vaseline, Clear, Cream Silk, Eskinol, and Block and White. Meanwhile, Yap is the first home-grown chairman for Unilever Philippines in the last 30 years. The top position for its local operation here was held by foreign nationals for the past three decades. The first Filipino chairman for the Unilever Philippines was the late trade secretary and envoy Ambassador Cesar Bautista. Unilever Philippines is celebrating its 90th year this 2017.